With 2 weeks left of this campaign, let's pull together to continue making a difference in the lives of those living with a disability and their families. On April 5th, we held a pasta and chicken dinner - dance. it was a beautiful night of conversation, inclusion, community and dancing. We offered a buffet style meal that was followed by a table full of donated baked goods, cake, and a candy bar. We held a silent auction that offered pieces of art, clothing, body care, wine, restaurant certificates and more. With a basket of sensory toys and an incredible photo booth, there was no shortage of fun to be had. The dance floor filled with moving feet, amd excited people, which lead to a banquet hall full of laughter from start to finish. To everyone who played a part in making the event a success, thank you. 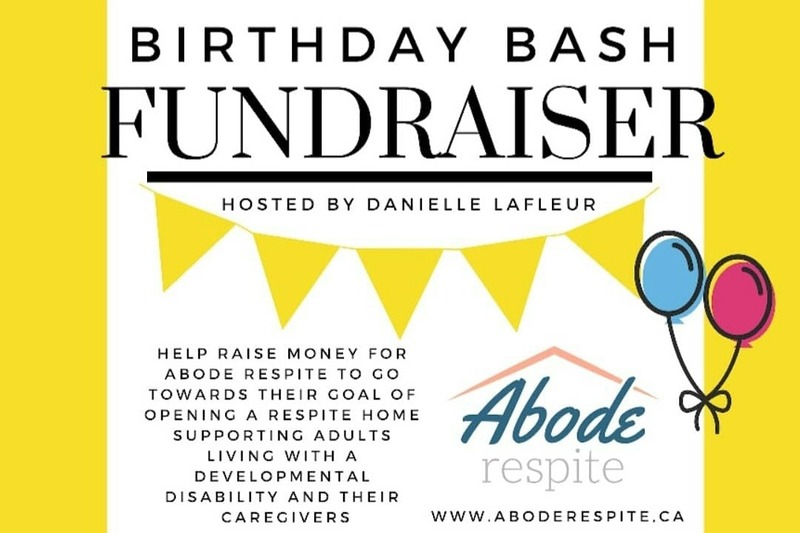 That night, paired with this online campaign, has a set goal of $10,000 to help Abode Respite put a down payment on a house to open their first 24-hour care respite home. I will never be able to thank any of you, who have already shared this link, this story, or donated, enough for helping us get this far already. We are currently sitting at a combined total of just under $7,000, so close to our goal!! Donating this year's birthday has been, without a shadow of a doubt, the most amazing decision I've ever made. Though the day has passed, the fundraiser continues, and the impact of this will last for years to come. This is a LOCAL concrete way to BE the change our very own community is in desperate need of. This is a way to help now, and in the future. A lot of the people that would benefit most from this home do not have the resources to advocate for it, lots of people do not have the resources to write to you and get your attention. This is why people like me, and our Abode team have to do it for them. This will bring great opportunity and change in Windsor-Essex.